Excellent performance! High rpm rotary pads/brushes & adjustable brush/pad pressure. 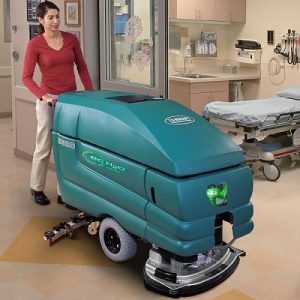 Scrub even the most sound-sensitive areas with quiet 67 dBA sound level. Ergonomic design makes cleaning with the T7 more comfortable for your staff. 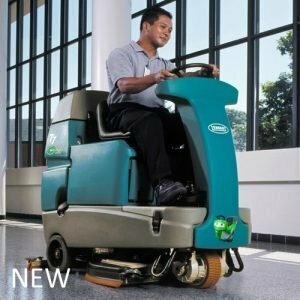 Clear sight lines and simple controls mean operators can focus solely on their cleaning environment. 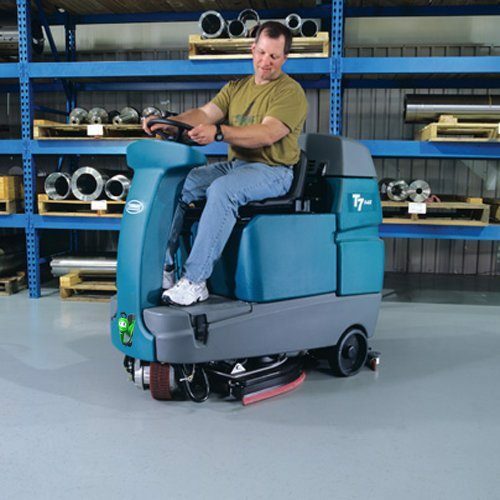 A Clean tight spaces and narrow aisles with T7’s compact design and highly manoeuvrable handling. B Easily train new operators to use the simple, intuitive controls. C Reduce environmental impact with ec-H2O or FaST technology. D Solution and recovery tanks easily cleanable. 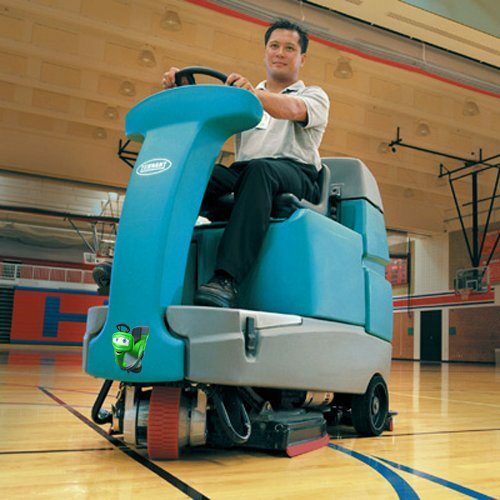 Exclusive Hygenic® tanks are fully accessible for cleaning. 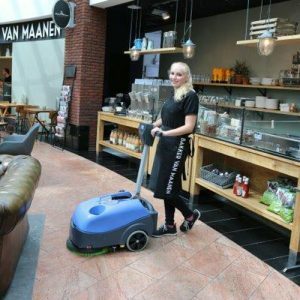 E Customise to meet your unique needs – choose either disk for smooth floors without debris or cylindrical for capturing light debris. 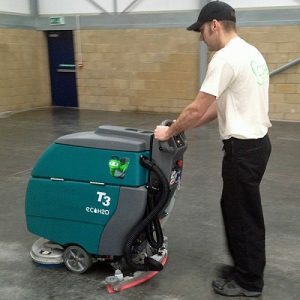 F Leave behind no cleaning solution, even around 180-degree turns, with the T7’s equal-pressure, parabolic squeegee. G Quickly remove and replace brushes and squeegees. Plus, with the “no hassle” squeegee system, there are no tools for maintenance and the blade is factory set at the optimum recovery angle. H Decrease the chance of accidents with automatic braking and parking brake actuation.